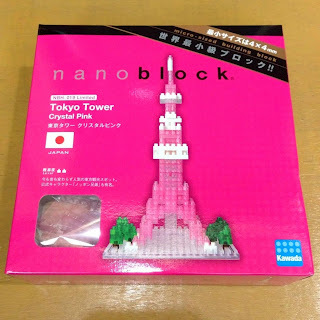 This Tokyo Tower - Crystal Pink nanoblock set is a limited edition release of the standard Tokyo Tower set (NBH-001). 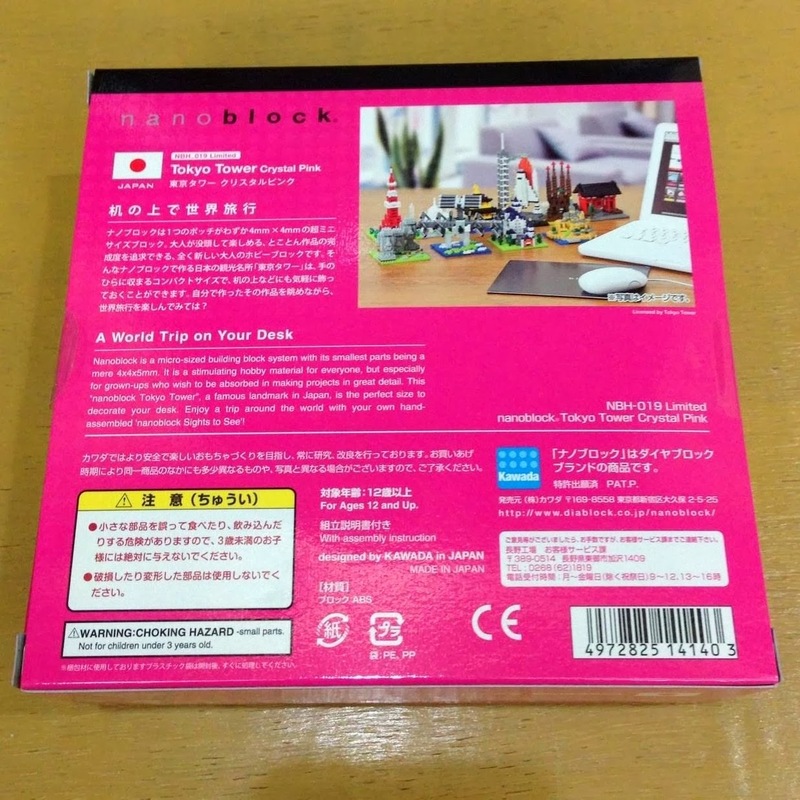 As you can see in the photos above, the front and the back of the box are almost the same as the standard set. 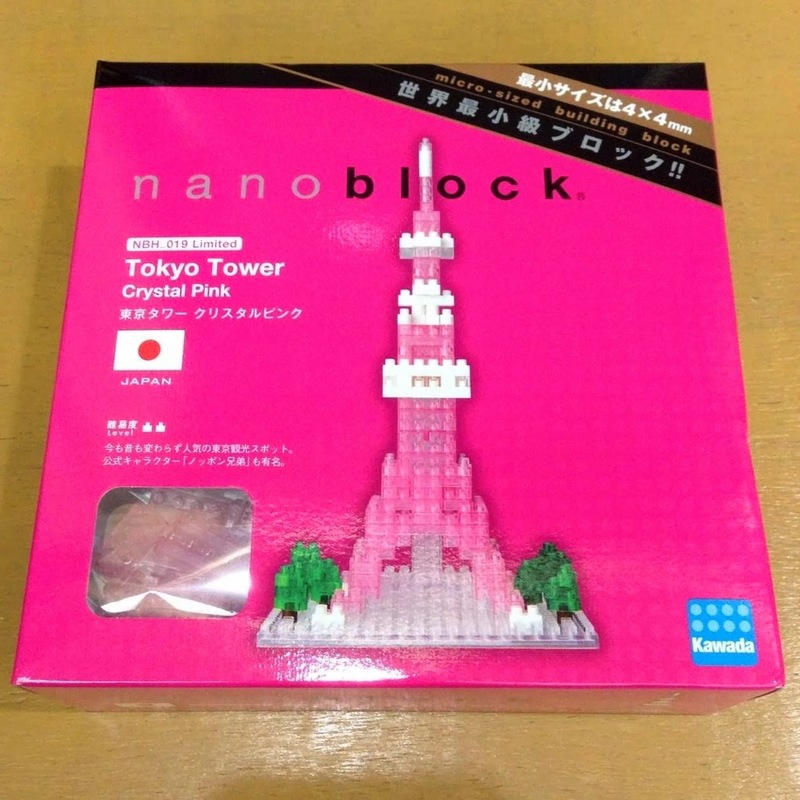 The main difference in this limited edition is the colour of the tower, which is transparent pink, instead of red. This nanoblock comes with an instruction sheet (which shows the same build process as the standard set) and 220+ bricks. 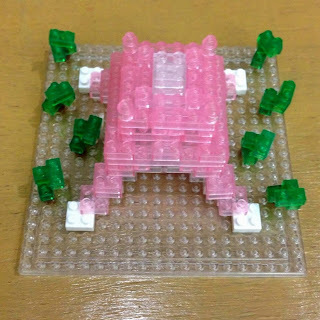 This is a level 2 nanoblock set, so it did not take long to complete. 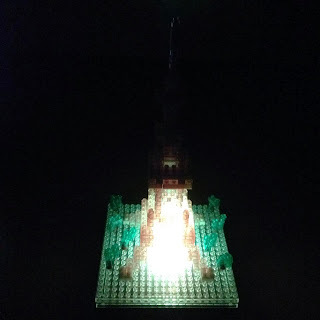 In my case, I took about 40 minutes. 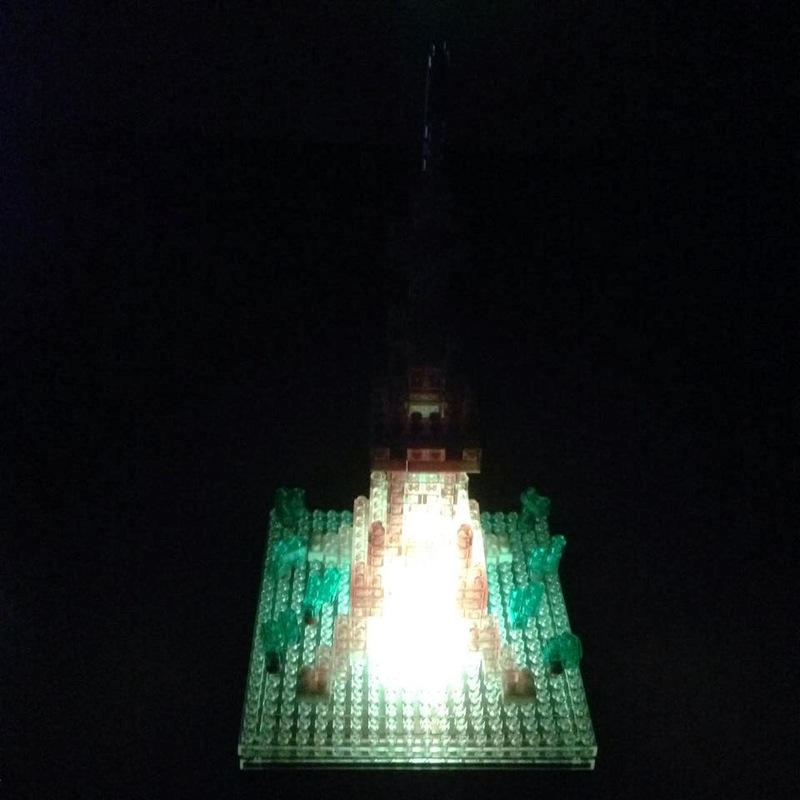 Some of you may take less time than me. 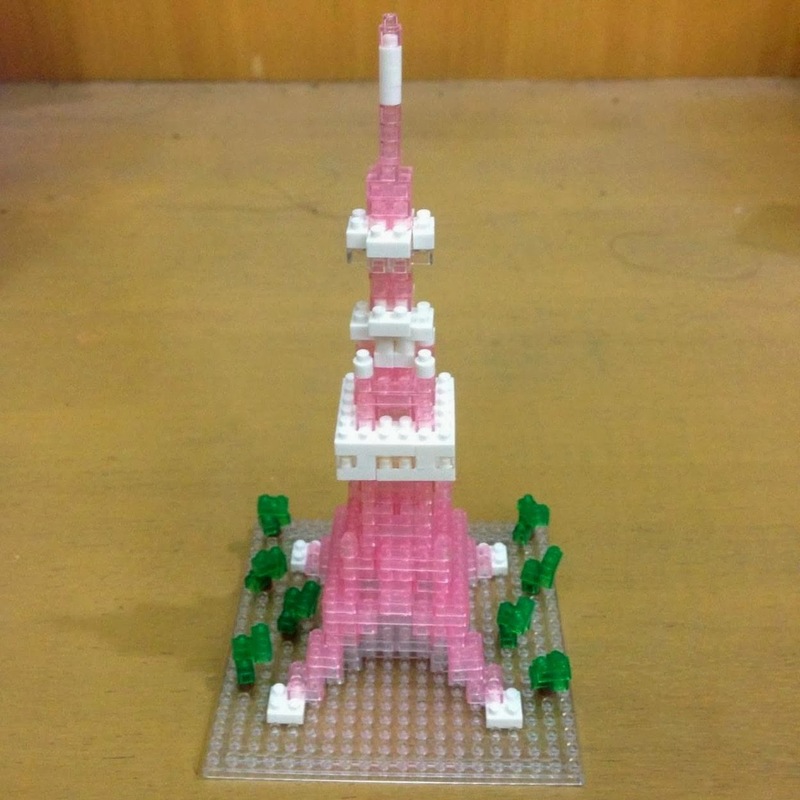 Here is the completed Tokyo Tower in Crystal Pink. I think it looks so cute in pink, but it doesn't look so good with the nanoblock LED plate though. In the photo below, you can compare the limited edition crystal pink Tokyo Tower with the standard version. 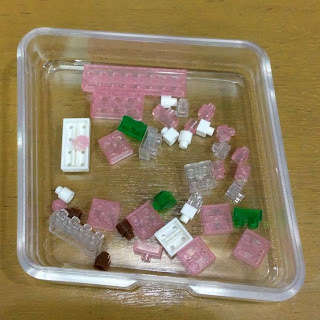 They are identical except for the colour. 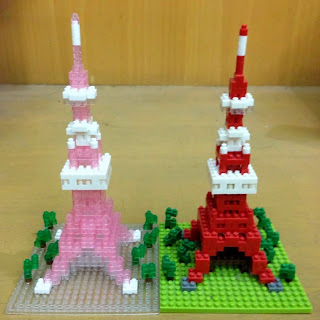 Overall, I think both of them looks good, but I prefer the standard Tokyo Tower because it looks more unique and cost a lot less, but that's just me. Your taste might be different. I got this Tokyo Tower - Crystal Pink set from Amazon Japan and asked my sister in Japan to bring it over to me. 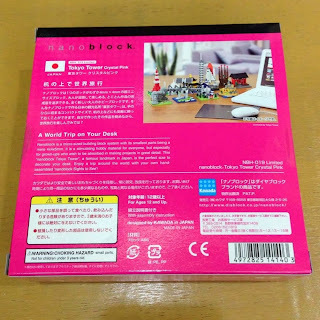 When I ordered it some time ago, it was about 2,000+ yen, but now it has reached around 4000 yen. 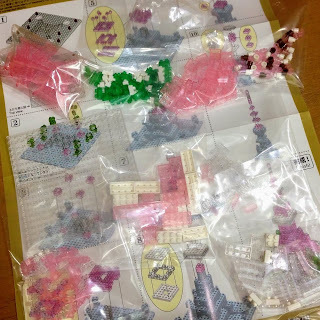 Note: This set can be found in Plamoya over here or on Amazon over here.